Man, this is so choice. It was a “hit the brakes!” moment when we ran across it. 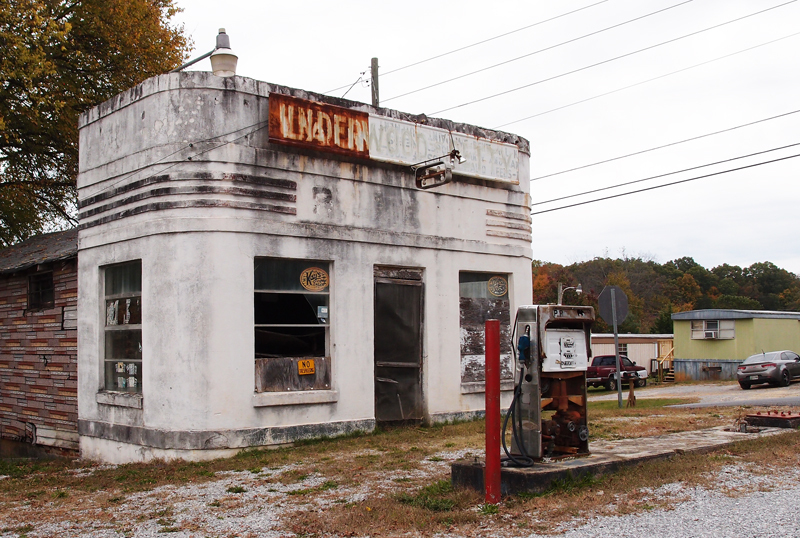 Fairly typical 1940s – 50s highway gas station. When it was in operation, I say that inside was the cash register, some chairs, stove, coffee pot and a lot of cans of motor oil. The sign has been re-purposed a couple of times and is just unreadable. It could have been a Sinclair station originally…just a guess. The company liked rounded corners and those strips above the door. This is located on Hwy 25/70 (Asheville Highway) at the corner of Shady Road in Sevier County TN. There’s a long-closed small feed store next to this building. 36.02090, -83.65296, if you’re interested. A few months ago, I got a comment on a post I’d done on a Luten bridge in Southwest Virginia. The person commenting said he’d run across a Luten bridge on an old highway out of Knoxville. I think this this the one he was referring to. We found it by accident. I was taking a picture of the New Market Post Office when my buddy noticed an interesting building behind the Post Office. As we drove around the area behind the Post Office, we, as usual, looked for a date plate on this bridge and found it to have been built in 1921 by Luten Bridge Company of Knoxville. The interesting building, btw, wasn’t all that interesting. 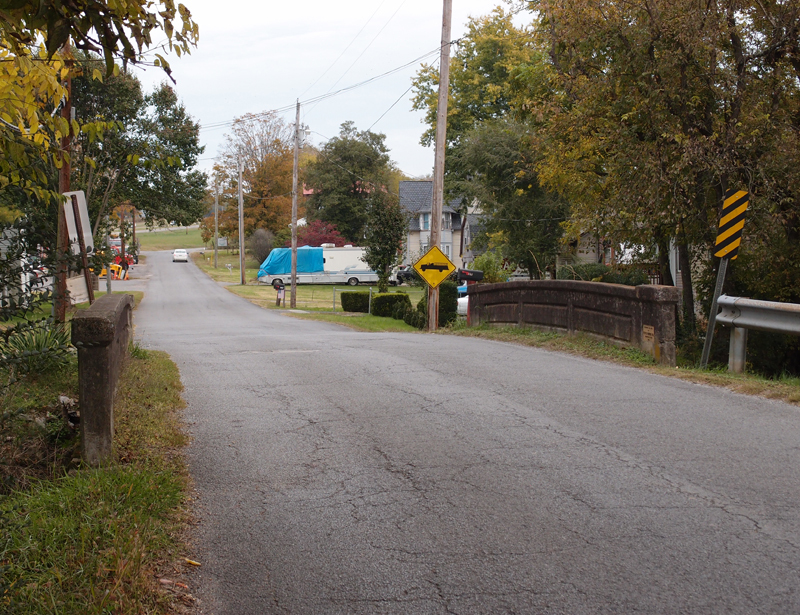 To be specific, this short concrete arch bridge crosses Lost Creek in New Market, Jefferson County, TN. This is Old A. J. Highway (A. J. is “Andrew Johnson”). Behind me is Piedmont Road and up ahead is Park Street. The bridge is at 36,100584, -83.549962. 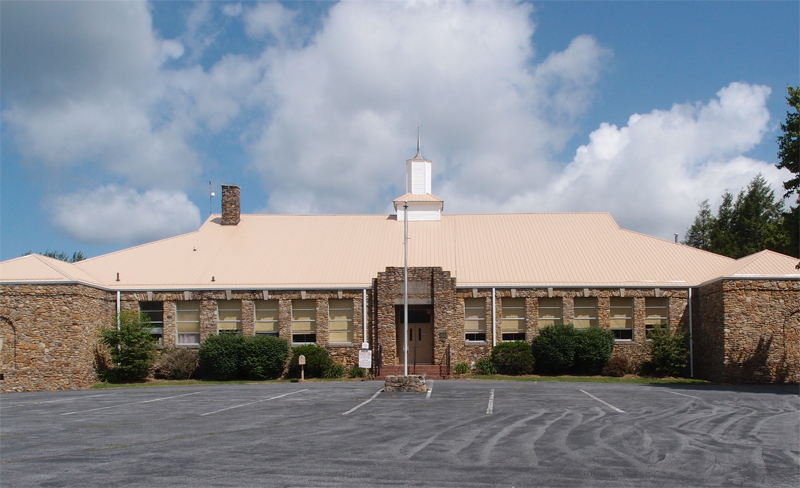 Another of the stylish WPA-built schools. Built in 1936 out of local materials. It’s located about 1/3 mile up 133 from the intersection with 34 (where all the bikers gas up and have a nosh before they hurtle down The Snake). 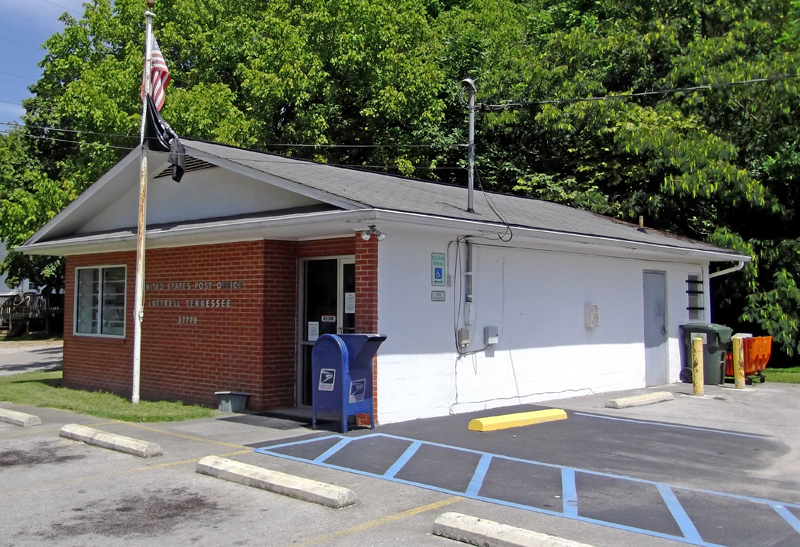 Ever been to Luttrell, in Louden County TN? 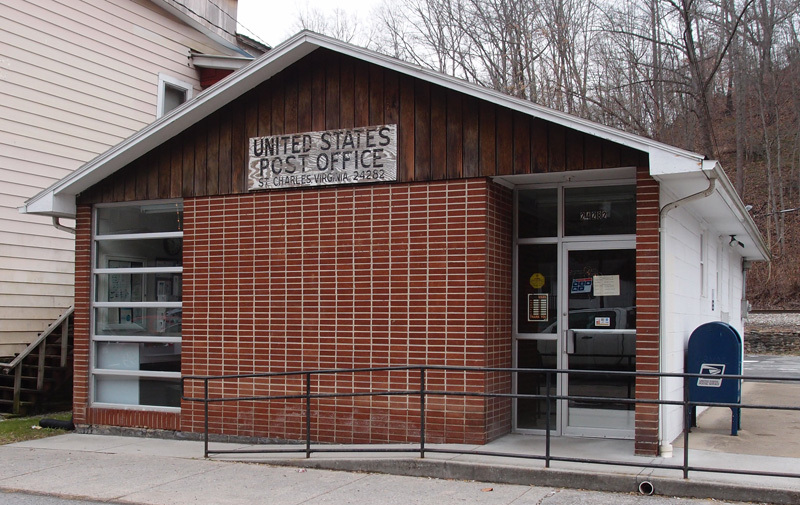 This is the Post Office. Wave as you go by. Chet Atkins was born here as was Kenny Chesney. You can read about St. Charles here, but the article doesn’t go in to the history of this old coal town. There’s a railroad wye here and a lot of coal has passed through. Read more about the town here.